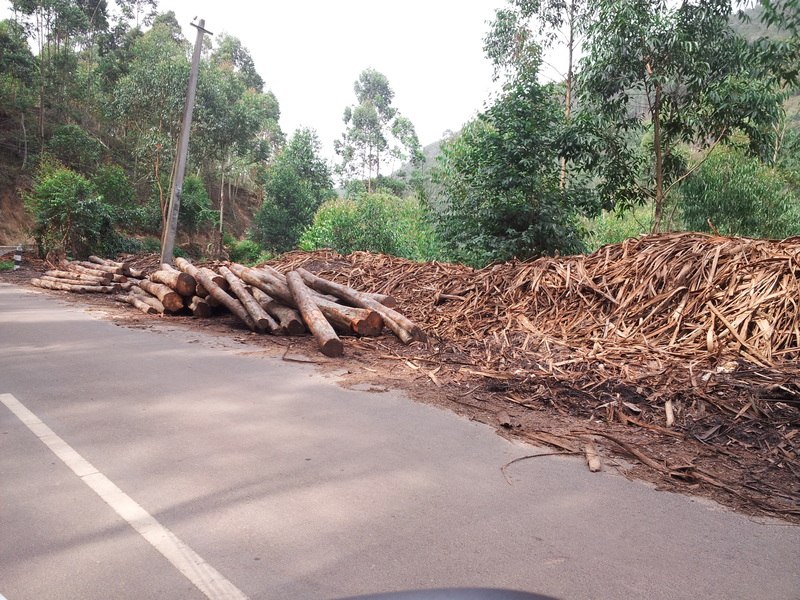 The scene depressed my heart and made me video the rampant deforestation of Idukki District, apparently supported by the Kerala Government. It is happening inside the Shola National Park, which located on the forest-road to Vattavada from Munnar (via Mattupetty). 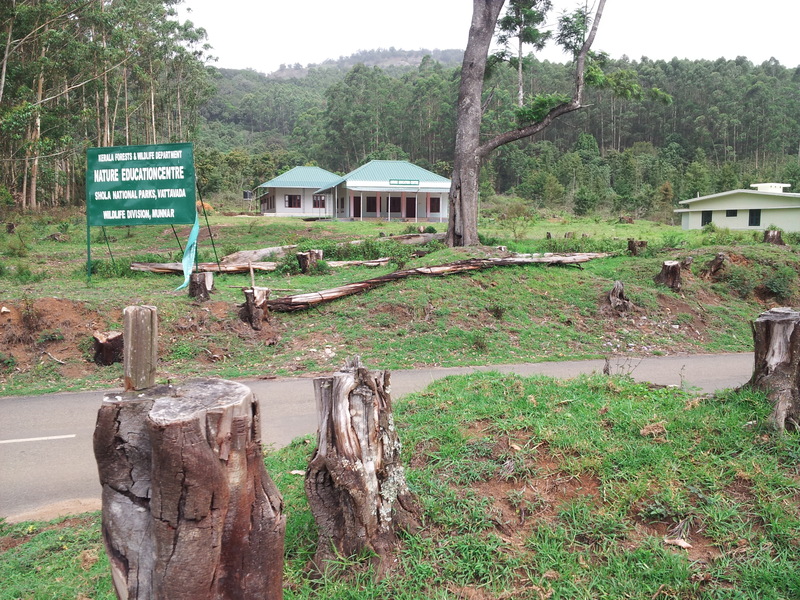 Although the locality is supposed to be ecologically sensitive and is dedicated to wildlife and forestry, there is no end to cutting down of trees and deforestation. Here are some more photos which would expose the extend of desertification conducted by Kerala Wildlife department. On inquiry, I was informed that on an average about 100-loads of woods are transported daily from Munnar-Vattavada region to Perumbavoor, my hometown, which is the epicentre of plywood and wood-based industries. 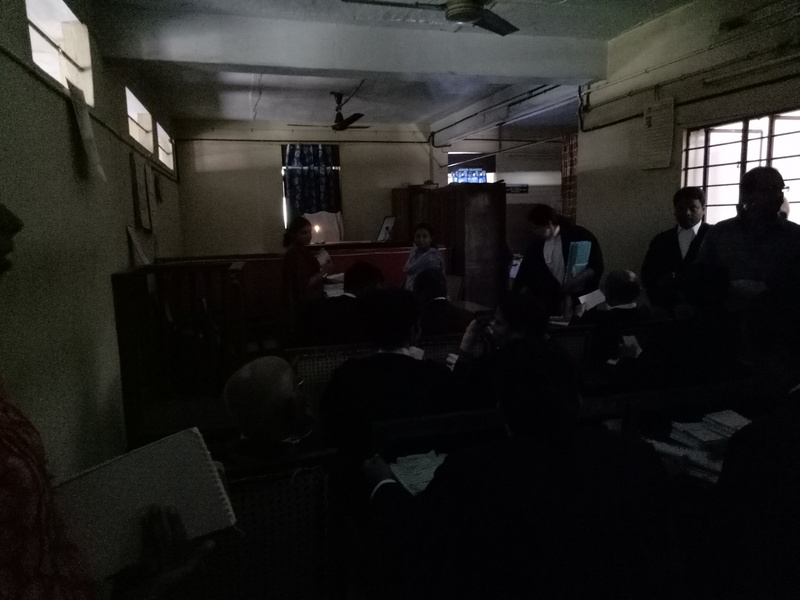 It is rather an irony of life that my own law-firm represents the majority of plywood companies of Perumbavoor. Nevertheless, I am deeply offended by the adverse impact on environment, those companies cause in this part of the State. Such divergent forces within oneselves are responsible for holistic inaction and dalliance in the matter of environment and conservation. Kerala requires a proper affirmative policy for sustainable development of its forest, wildlife and wood-based industries. We are erroneously basking on the glorious green of the god’s on country. Our state is far behind in planting trees or caring for the environment. It surprises me that Tamil Nadu, a relatively dry state, has far more trees planted along the roads than Kerala. Malayalies are happy to axe any tree to provide parking lots for shopping malls or clear-sight for illuminated hoardings. The government should step in to change the attitude of malayalies and make them care for the environment. A concession in land-tax/building-tax for those growing enough tress on their properties would be a great idea to begin with. I am surprised at the recent policy decision taken by the UPA Government to reduce pension of officials facing corruption charges by 10% for the first 5years, and 20% for those voluntarily retiring pending criminal charges. The decision is apparently a lenient one, and perhaps intended only to shift public debate from Lokpal Bill. If the government is serious in thier so-called fight against corruption, the pension benefits of retired bureaucratic babus facing corruption charges should be withheld 50% pending litigation, and if found guilty, their entire pension should be forfeited. Such resilient actions alone would check the menace of corruption in India.